Apple has already said that iPhone sales will decline for the first time ever this quarter. Simply put, the astronomical growth posted by the iPhone 6 a year ago made for a difficult comparison, and the iPhone 6s won't be able to keep pace. But Apple has had a plan in its back pocket all along: the "iPhone SE." By releasing a mid-cycle iPhone replacement, Apple can provide a boost to sales at a time when many consumers start waiting for the next-generation iPhone. A March upgrade helps to disrupt some of the seasonal trends that affect Apple's sales. While the imminent launch of the "iPhone SE" probably won't do much for the current March quarter, Apple will reap the benefits from sales of the new 4-inch model throughout the June and September quarters, right up until the "iPhone 7" launch. That should help offset any tough comparisons for the iPhone 6s, and keep iPhone sales growing. It's a new strategy for Apple, which has largely stuck to the same annual release cycle with one annual upgrade. Apple, of course, tried introducing a new lower-end phone before in the form of the iPhone 5c. But it launched at the same time as the iPhone 5s, and in hindsight may have been overshadowed by the flagship iPhone 5s. Spacing out the launch of the "iPhone SE" and giving it some distance from both the iPhone 6s and the "iPhone 7," however, may give it more of an opportunity to hit its target market. And what is the target market for the "iPhone SE?" Most likely it's users who don't like the larger form factors of the 4.7 and 5.5-inch iPhones. For years, Apple refused to cater to the growing market for jumbo-sized phones. 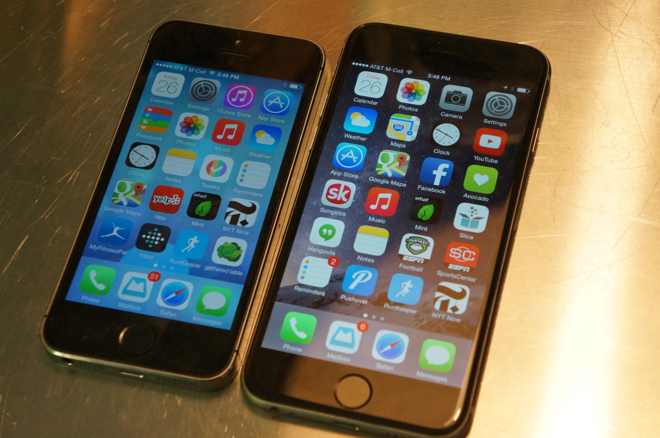 In fact, it marketed the size of the 4-inch iPhone 5 and 5s as an advantage over competitors. In one 2012 commercial entitled "Thumb," Apple —with the help of celebrity narrator Jeff Daniels —showed how the 4-inch display on the iPhone 5 could be use with one hand. At the time, Apple portrayed the screen size as a "dazzling display of common sense." When Apple eventually caved in to the larger smartphone trend, the company included a feature it calls Reachability, which allows users to quickly tap (but not press) the home button twice. Doing so brings the screen down to half size, allowing users to reach elements from the top of the display without needing to readjust or use a second hand. Despite the inclusion of Reachability, there are still many customers who feel that the 4-inch form factor of the iPhone 5 and iPhone 5s is more convenient than the larger 4.7-inch screen size of the iPhone 6s and iPhone 6. Heck, even Apple itself thought the 4-inch size was superior back in 2012. So it's no surprise that the company has no plans to abandon it. If the latest rumors are accurate, the "iPhone SE" will be a formidable device from a hardware perspective, featuring the same 12-megapixel camera and A9 processor as the iPhone 6s. That would suggest Apple isn't planning the new 4-inch model as an entry-level model, but more of a mid-range handset. With an A9 chip, the "iPhone SE" would outperform the A8 chip in the iPhone 6, which sells starting at $549. 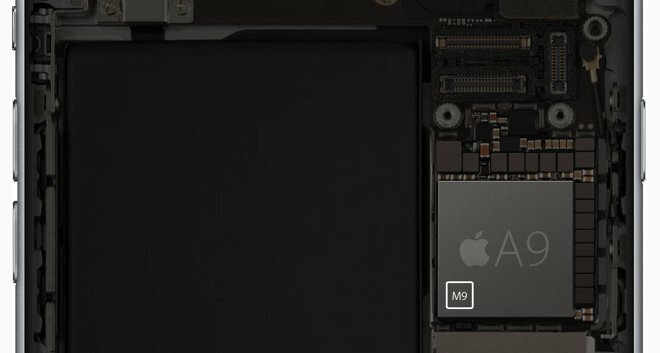 Why would Apple put the A9 chip in a 4-inch phone? One possible answer is that Apple wants to make sure it can last in its lineup, potentially for longer than the typical one-year span between upgrades. Apple already uses a similar approach with its iPod touch lineup, choosing to update the hardware on a less frequent basis. Last July, Apple revamped the iPod touch with an A8 processor— the same chip found in the iPhone 6. At the time, that was Apple's flagship smartphone, meaning the new $200 iPod touch had more processing horsepower than a then-$549 iPhone 5s. In short, putting the A9 in the "iPhone SE" would be a win for everybody. It would give Apple the flexibility to keep the handset in its lineup for awhile, and it would give customers the latest and fastest Apple hardware in a smaller form factor. No, it's not going to be the mythical "low-cost iPhone" that many on Wall Street have clamored for. But the "iPhone SE" will likely help boost sales in a price segment where Apple already competes. The main difference is, with a complete hardware refresh, customers may be more likely to view a $549-or-under iPhone. Right or not, the stigma of buying "last year's phone" is very real with consumers. But a brand new handset at that price point might be more appealing than simply keeping around an older model. We don't know exactly how much the "iPhone SE" is going to cost, but it's safe to say it won't drop below the current $449 price of the iPhone 5s. It's also unlikely to go beyond the $549 price of the iPhone 6. Somewhere in that price window is the potential for Apple to carve out a sizable, loyal segment of customers.